After the shortest blog vacation ever, I’m back because I want to start talking about coal. The Coal documentary on PBS outlines the issues far better than I could in a single blog post, so check it out. I’ll leave you with a new documentary that is trying to get funded on Kickstarter. In fact, this is the first Kickstarter campaign I’ve funded. Check out the promotional video for Things of Intrinsic Worth, which will look at the impact of coal on Montana ranchers. Montana is one of the western states that wants to send coal through the proposed new coal terminals in Washington state. And remember, this coal isn’t even for the U.S. It’s bound for Asia, primarily China. Not that the location matters in the end, because burning this coal impacts us all. Wow! After five years, I’ve covered pretty much every energy efficiency, self-sufficiency, and gardening topic possible as it relates to our little patch of earth. It’s getting harder and harder to come up with topics to write about that I’ve haven’t before, so I’m going to take a break with this blog until new inspiration hits. Have a great gardening summer! In the meantime, please check out my new blog, kwotsi. Each day I’m posting a new inspirational quote. Enjoy. Wow! After a slow start, the Orchard Mason Bees have done really well this year. Last week, I shared a video of the bees doing their thing. A few sunny days later and the bee nesting tubes are pretty much full, so full in fact I bought additional tubes to harvest a few more bees. Steve the bee guy will be happy indeed. The Orchard Masons are, however, an early season bee. Someone recommended getting some Leafcutter bees for the mid-season, so I contact Crown Bees, a local bee supplier. The nest tubes are similar to those of the Orchard Mason Bees, but smaller. In the middle, you see the bee cocoons, which are wrapped in leaf cuttings. On the right is the protective bag I’ll keep the cocoons in until they start hatching. Apparently, Leafcutter cocoons are tasty snacks for other insects and need to be protected. They also like heat, so I’m going to keep them in the greenhouse until they start hatching. This is my first attempt to release and harvest bees solo, so wish me luck. On to another Leaf entirely. 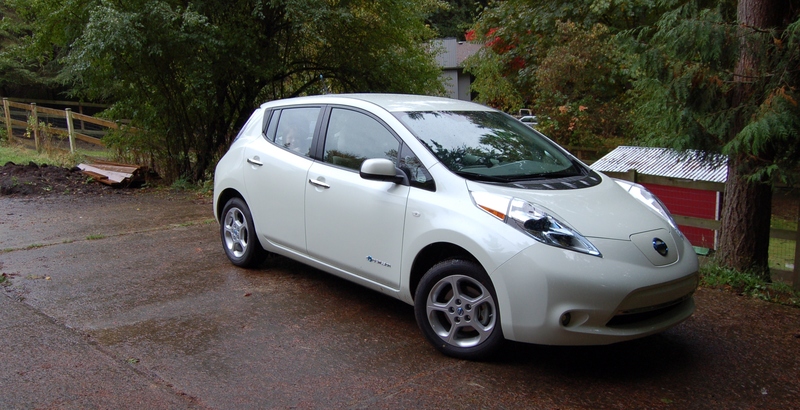 Last October, I bought a Nissan Leaf. I’ve had the car for a bit over six months now, and I cannot recommend the car highly enough. It’s quiet, smooth, peppy, perfect for around town, and of course it produces zero emissions. With our solar panels and Leaf, I feel really good about our efforts to reduce carbon emissions. What I can’t do, though, is fit the kids’ bikes in the back. When I had the Volvo, I had a hitch I used to attached a bike rack to haul bikes around. The Nissan didn’t have a hitch. 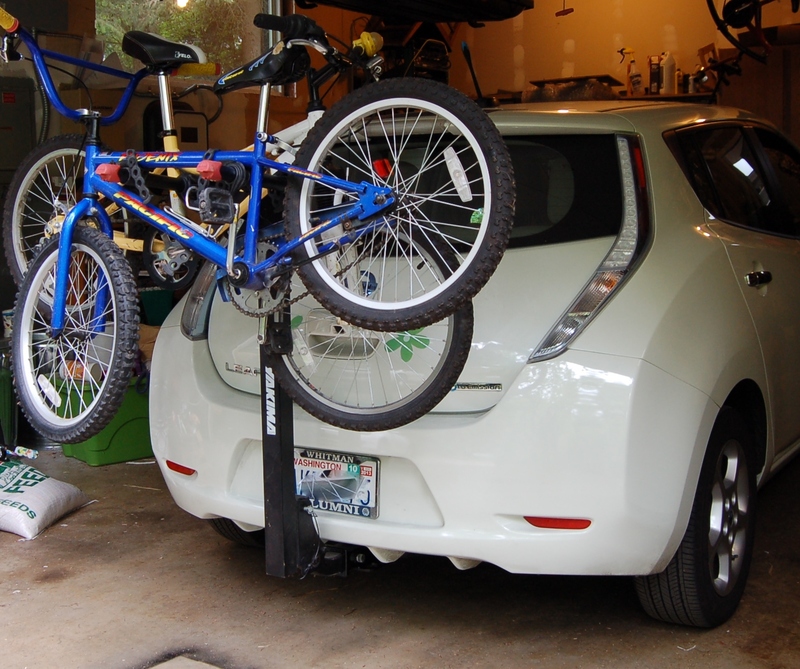 We did, however, find a local company, Torklift Central, that sells a hitch for the Leaf. After picking up the hitch and bringing it home, Derek was having trouble with the install and figured out that Torklift Central had sent him home (about 30 miles away) with an incorrect part. Derek called to ask for a new part and asked them to FedEx it to us. Much to our surprise, they felt so bad about the situation that one of their guys drove the part up to us that say day. Talk about customer service! The bikes on the rack are another story. Both of the kids needed bigger bikes this year. Our first idea was to see what we could find used on Craigslist. Aside from the fact I didn’t want to pay for new bikes, it always seems a waste to me to buy perfect new bikes for kids. Kids outgrow their bikes quickly. Plus, they can be really hard on bikes. We so lucked out with bikes for the kids this year. Derek was talking to the dad of one of Lily’s friends and mentioned we were looking for a new bike for her. Lily’s friend had just outgrown her 20″ bike and the dad offered to give us her bike for free. Sweet! In return, we offered to give them a dozen fresh eggs each week this spring and summer. For Andrew, we kept looking on Craigslist and local used bike shops and we kept coming up empty. Finally, I posted a message on Facebook that we were looking for a used boy’s 20″ bike. A former co-worker offered us one for, yep, free! In trade, we gave him a case of local IPA beer. In the end, we recycled our bike rack and found two bikes for free, but we threw some barter in the mix to make it fair. We made out really well on the bike front this season and look forward to cruising around to local parks in the Leaf and letting the kids get more mileage out of their recycled bikes. Steve the bee guy set up an extra orchard mason bee nest at our place this year. The bees having been doing great and have almost filled all the nesting tubes. The timing has been perfect since we have many fruit trees and berry plants in bloom right now. I’m hoping we get great pollination this year. Go bees! Everything about this gardening season has gotten off to a slow start. I didn’t get my spring seedlings planted in time so I had to buy starts this year. I planted the cabbage, broccoli, cauliflower and onion starts only to find them all dug up and destroyed two days later by marauding hens. My summer starts, also started late, are only now putting on some decent size. So, during this funk, my garden has suffered. Not to worry, however, as I can feel myself regrouping. While the spring season won’t be what I’d like, it’s not too late for a great summer, even if I do have to buy more starts to make that happen. I can also appreciate those things that happen without my effort, such as the volunteer Sungold seedling you see above. Just last week I was a bit bummed that I wasn’t going to have enough Sungold plants this year and yesterday I noticed a lovely little volunteer seedling doing great in the greenhouse. I’ll take it. I can also appreciate all the energy produced by our solar panels. Now that they are installed, we just sit back and they do their thing. We’ve had the solar panels for just over a year and they’ve produced 7,802 KWHs of energy. That’s about 60% of our electricity usage and is pretty good considering that we’re now charging our electric Leaf regularly. For now, I’ll call that good and take that as well. We’ve lived in our house for ten years. When you live in one place for this long, stuff accumulates and fills in all the nooks and crannies. Drawers, closets, freezers, desks, shelves — all become resting spots for both the things you need and the things you simply don’t know what to do with. For this reason, my resolution for 2013 is to go through one room per month to purge the house of excess stuff and clutter. I’ve created a Clutter Busting in 2013 schedule to organize this effort. First up, the family room off the kitchen. I chose this first because it’s a chronic clutter zone in the house. This is where my small desk and a desk for the kids both constantly become surrounded by toys, papers, and other miscellaneous items. The other reason for starting here is that now that the kids are bigger, we’re going to have a larger desk installed this month, so it’s the perfect time to get this area in order. Above, you can see one before shot. Here’s another. We didn’t tidy up the area before taking the picture because, well, this is pretty much what the area looks like 90% of the time anyway. We’ll follow up with an “after” shot once the new desk is stalled and we’ve purged a whole lot of crap. If you’d like join along, follow the Clutter Busting in 2013 calendar and share your updates along with mine. Here’s to less stuff in 2013! In the late fall and winter, I have to remind myself to head out the greenhouse every few weeks to water the potted trees. Obviously, they get zero rainfall inside and it’s a task I sometimes forget. While watering today, I realized I had one last crop of tomatoes and peppers to harvest. The tomatoes, Sungolds, have been producing since the end of June. These really are awesome tomatoes to have in the garden. They are one of the few varieties I like fresh and they are great in salads. The peppers are Fireball, so I’m going to have to come up with recipe that needs a bit of spicing up. With these harvests, my summer crops are officially at an end. A few weeks ago, I shared that I now have a Leaf. Man, do I love this car. It’s zippy and smooth to drive and I LOVE never going to the gas station. The car averages 4 miles per KWH and since I’m driving about 180 miles a week, at $.11 per KWH it will cost me $4.95 a week to drive. To add to the goodness, soon the Leaf will be made in the U.S.A., at a factory in Tennessee. Go Leaf! I’ve been planning to purchase an energy-efficient vehicle for years. Originally, I thought about purchasing a Prius, but decided against it. As I explained in “Why I’m saying no to the Prius,” which I wrote back in 2008, there were two main reasons: My Volvo wasn’t very old at the time and I wanted to get 100k out of it before getting a new vehicle, and 2. I wanted better than the 45 MPG the Prius offered and was intrigued by the new all-electric vehicles that would be hitting the market. Well, the electrics have arrived, have been on the market for a few years, and have proven that they function well. With my Volvo nearing the 100k mark and facing some upcoming repairs (brakes for example), I decided it was time to start looking at my options. Although I normally purchase a car, Nissan has been having some really great Leaf leasing specials this fall. When I ran the numbers, I realized I could get rid of my Volvo as a trade in, spend nothing out of pockets, and get into a Leaf for a really low monthly lease rate. Our local Leaf dealer in Bellevue, Eastside Nissan, actually has a $99/mo lease deal right now. I’m seriously paying $99 a month to lease a brand-new Leaf. This is far less than the $150 a month I had been spending on gas for my Volvo. Between the lease cost and the electricity I’ll need to power the Leaf, I’ve basically got a free brand-new vehicle when comparing my previous costs. Super sweet! There is another practical argument for leasing a Leaf instead of purchasing at this time. The technology keeps getting better and better. By the time the lease ends, I expect there will be more EV options on the market with better batteries and range. At that point, I’ll decide if leasing continues to make sense or whether it would be better to purchase. The current leases are such a good deal, though, that leasing is a no brainer at this point. The Leaf does have its limitations, however. Even though quick charge stations are being built up and down the I-5 corridor, the Leaf isn’t super practical for long road trips. Even a quick charge station requires a 30 minute stop and the Leaf can’t hold a lot of cargo. Because we knew we would get an electric vehicle at some point, when we replaced Derek’s old car earlier this year, we very intentionally purchased a VW Jetta SportWagon TDI. When we need to load the whole family up and hit the road, this is the vehicle we will use. So, I’m pretty excited and pleased with the new little car. 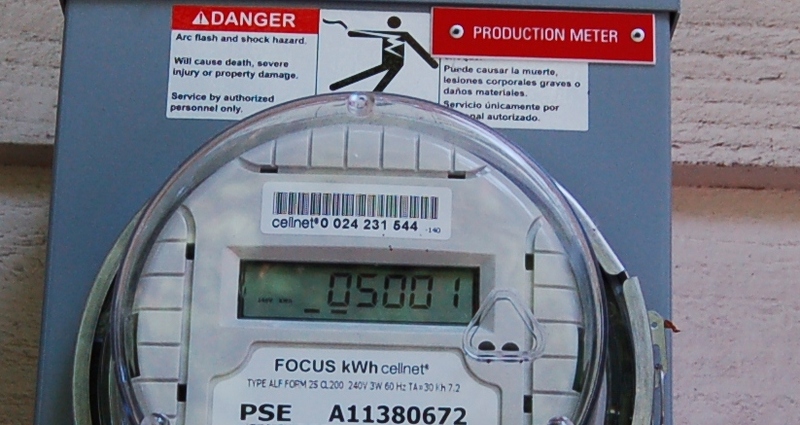 I’m especially happy to have taken another step on our path to fossil fuel usage reduction. Beep beep. We moved into our house ten years ago. There were a few fruit trees, including a broken off twig of a young pear tree. It’s a in a weird location jammed up against a fence and was obviously seriously damaged at some point, with everything except one side branch remaining. I should have pulled it out, but I left it place and year after year it continued to grow and fill out a bit more. But, it never produced any fruit in all these ten years. A few years ago, I planted a few new pear trees. Apparently, having some cross pollinators helped and this year I got my first fruit off the tree. And it looks absolutely perfect. I’m not sure which variety it is, although one interesting thing about the pear is that it was covered is a light brown fuzz all during the growing stage and this fuzz really only disappeared once the pear fully matured. Any guesses what type of pear this is? 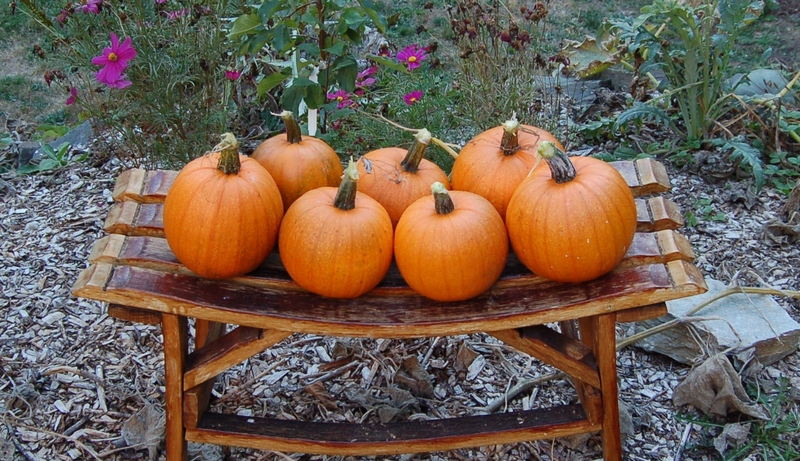 Recently, I also harvested my sugar pumpkins. The above pumpkins plus two more (already made into pie and eaten) all came off one vine. The vine was huge! I had a couple of other vines in the same general area, but they ended up with powder mildew problems early on and died. Since this variety did so well and fought off the powder mildew longer than the other varieties, I’ve saved seeds from this plant for next year. I hope your fall garden is doing well. We just surpassed 5000 kWhs of solar energy production! As you can see from our solar log, we’re averaging 30.66 kWhs a day. Of course this will go down as we head into the winter months, but we’re feeling good about the production of our system and remain glad we had it installed.